I received a wonderful gift for Valentine's Day, you guessed it by the title probably but it is the oh so beautiful Naked 3! I have to say, after hearing and seeing everyone and their mother talk about it, I gave in. My main concern was that I wouldn't use it that much because all the shades are mainly in the pink family, I was wrong on this one. These are still neutral, but with a romatic twist I guess. As usual, the quality and texture of the Urban Decay eyeshadows are really great, unbeatable. The only one that is a bit tricky to get right is the shade Dust, it has a lot of fallouts and isn't really opaque, the only thing you need to do is to use it with a wet brush. I already own the Naked 2 and like it, not as much as this one though. Don't worry if you have warm or cool, pale or dark skin, in my opinion this palette will suit virtually everyone. So, if you are still on the fence about getting this palette, I'd say totally go for it, it's gorgeous and really versatile! Strange: Warm white-pink with a satin finish. Dust: Light warm pink with white and gold glitters. Burnout: Pinky peach with a pearly finish. Limit: Cool mauvey pink with a matte finish. Buzz: Warm pinky copper with a metallic finish. Trick: Light copper with hints of gold and a frosty finish. Nooner: Warm medium to dark rosy plum with a matte finish. Liar: Medium mauvey brown with a metallic finish. Factory: Medium to dark warm brown with a pearly finish. Mugshot: Medium warm taupe with a frosty finish. Darkside: Cool purply taupe with a pearly finish. Blackheart: Warm deep burgundy with red micro-shimmers. 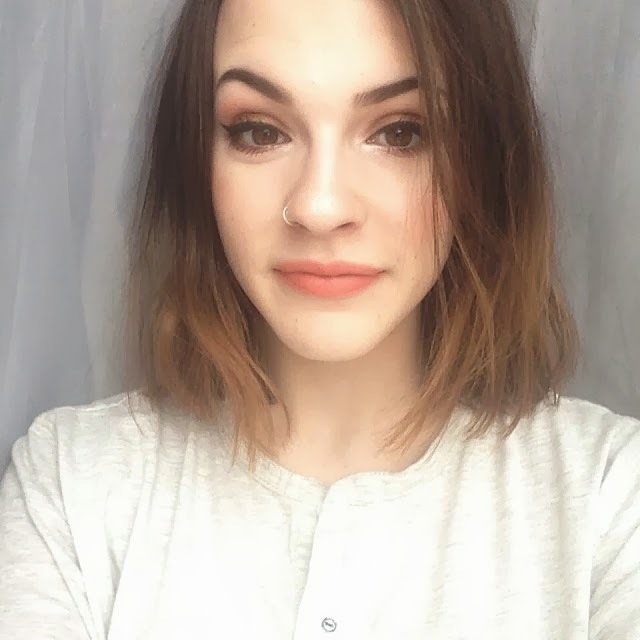 The Edit: Favorite Haircare Products/Styling My Short Hair! I'll be honest, I am not too big on hair products nor styling my hair. Do you know about a girl who struggles to do a ponytail? Well, that'll be me, seriously. Recently, to start off the year in a fresh way, I got my hair chopped off to shoulder length, which is a pretty drastic change for me. The goal was to minimize the time I spent doing my hair in the morning for the reasons above. These are what I call my hair heroes! Short hair looks blah without a bit (or a lot!) of volume and the best product I found to do so is the L'Oréal Volum' Max Volumizing Spray, in the same category as the Bumble and Bumble Thickening Dryspun Spray but on the more affordable side, this spray simply adds texture and volume to your roots. It can be used on dry or wet hair, the only thing you need to do is to spray at your roots, fluff up your mane and voila! It holds up pretty well during the day and doesn't leave hair greasy or weighed down, the scent is pretty nice aswell! I love a bit of texture, stick straight hair is not my thing at all. I've been loving the cult favorite Bumble And Bumble Surf Spray recently. I can safely say that this is probably the best sea salt spray on the market since I've tried a couple of others and let me tell you they do not compare! I like to spray this on my dry hair when a want a bit of added roughness and texture or use it midway trough blowdrying my hair to enhance my natural waves. Another option, is the Organix Morrocan Surf Paste, which can be used in multiple ways. Don't be scared, this paste is non sticky, even on dried hair. Use it at the base of your roots for some effortless volume or rub a little bit inbetween your hands to scrunch up your hair! Since I got my hair chopped off, I want to keep them healthy, strong and shiny. The best way to do so is to, of course, condition but I also like to use my Phyto 9 Leave In Conditionner on the ends of my mane to keep them silky in between washes. This stuff really works wonders for me, it is definetly worth the price. You would expect this to be a thick treatment but it's actually super lighweight and emulsifies to a watery texture when rubbed onto your hair. As far as shampoo and conditionner goes, I am not a fussy girl. During the past year, I discovered the wonderful L'Oréal EverCrème Shampoo, a sulphate free, chemical free, softening and hydrating option. I love the conditionner from the same line aswell but most recently I've been trying out the L'Oréal Power Moisture Conditionner, so far, I am loving the really silky feel it gives to my hair!